Posted on April 16, 2017 at 7:06 pm. St. Helens, OR – Established in 2000 as a 501(c) nonprofit, the Amani Center is a community-based assessment & treatment services center, that helps children who have been abused in a child-friendly setting to minimize trauma and raise awareness against child abuse. Every year since 2009, they have held a walk to promote Child Abuse Awareness in our communities as well as a fundraiser for the organization. 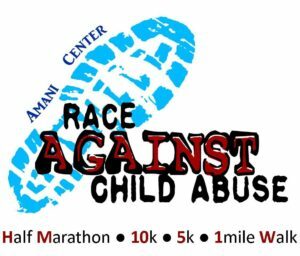 This year marks the 9th Annual Race which you can support our children in our community by participating in a 5k, 10k or Half Marathon or if you’re not a runner join the 1 mile Walk on April 22nd, 2017.